Per Square Mile is a neat blog on population densities and it’s impact on society, life and our planet Earth. 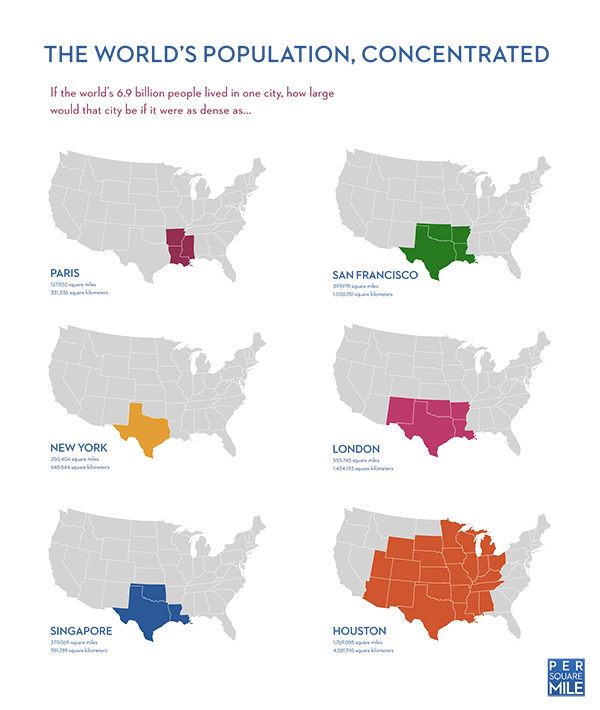 Earlier this year, it posted an infographic on how much space the world’s total population would occupy if everyone lived at the same population density as that of a select few cities. I would love to see a representation on Mumbai’s density. I haven’t done the math, but I would imagine we could all fit in Delaware! 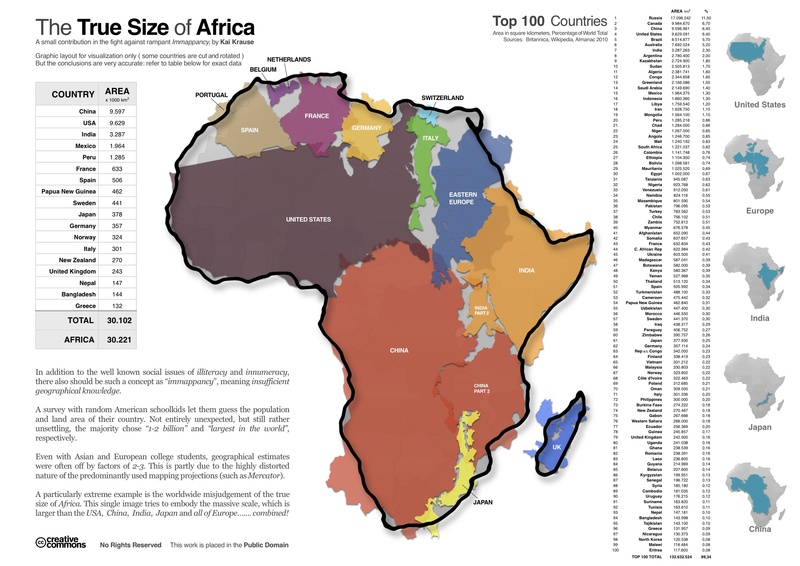 Read about the Mercator projection (and its distortion issue) here if you’re interested.